Simon Holla aka SIDEN was born in Nijmegen, the Netherlands, in 1992. At the age of 10 he bought his first gear and started to learn the very basics of mixing. A few year later he started with producing aswell, and it resulted in his first release together with Marc Simz and also worked with Ron van den Beuken. Nowadays SIDEN tries to bring more Tech into his productions and gets inspired by genres from Techno to Trance. His first release on Above Alternative means a fresh start under a new name. Addict is true techtrancer with lots of energy and power. 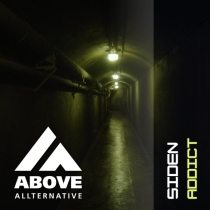 For the release we asked John Sunlight from Ukraine to give it a more melodic touch and he nailed it! Be sure to check out this debut release from this new talented producer from the Netherlands.